The Constellation Observing System for Meteorology, Ionosphere, and Climate's (COSMIC) purpose is "to gain inexpensive vertical profiles of temperature and moisture across the globe with high spatial and temporal resolution." Users can learn how ground-based GPS equipment are being applied to seismic, volcanic, polar ice, weather, and climate research. The website presents the two FORMOSAT-3/COSMIC Data Centers, which analyze the science and telemetry data. The AWARE link features an international project to better understand and predict atmospheric conditions and discusses educational and research opportunities for students. 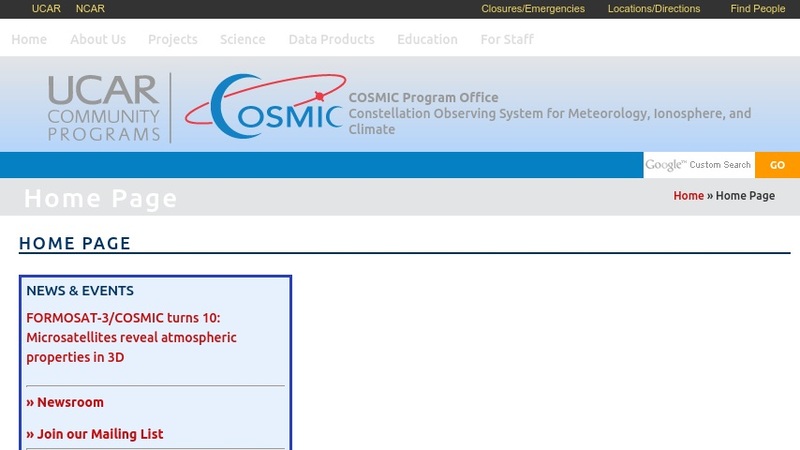 The website also offers maps and data related to COSMIC's activities.